When we invented Udderly Quiet™ Pyramid Studio Foam, we had the needs of recording studios in mind. But, we soon discovered that anybody who loves good sound quality could use them. Our customers use our foams to reduce noise in restaurants and other businesses. They install them in their home theaters for the best experience. 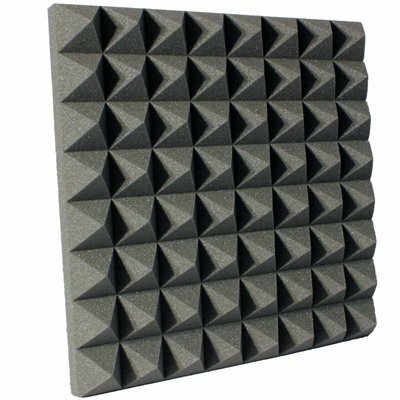 Udderly Quiet™ 3-inch charcoal pyramid studio foam reduces reverberation (echo) wherever you want. Each of our 3-inch charcoal pyramid foams has a distinct pyramid design. We didn’t make them this way just so they look cool — okay, maybe just a little. Sound experts use pyramid foam instead of flat foam because of its surface area. 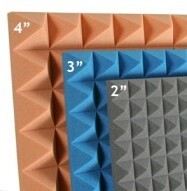 The sides of each pyramid provide extra space for more echo absorption. A sound foam that has pyramids offers the best echo reduction out there. We don’t mess around with our foams. 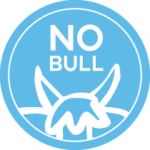 Our herd uses professional-grade polyurethane to create every panel. The 3-inch thickness and sturdiness of the foam lower the risk of tearing. At the same time, it has a low weight that lets you set it up just about anywhere. You can even count on our foams to keep their color for a longer time than the competition. Life’s too short for lousy sound. Place your order today by adding the number of cases you want to your cart. Feel free to get in touch with us any time to talk soundproofing.